Home / Meet the Drivers / Al Spadin Jr.
Years Racing FV Racing Vees on and off for 19 years. Favorite Track The one I’m racing on at that moment, although Nelson Ledges, Sebring and Watkins Glen hold a special place in my heart. Favorite Driver Lorenzo Bandini. With Italian heritage it wouldn’t be right to have special admiration for Italian drivers. Why FV Class? 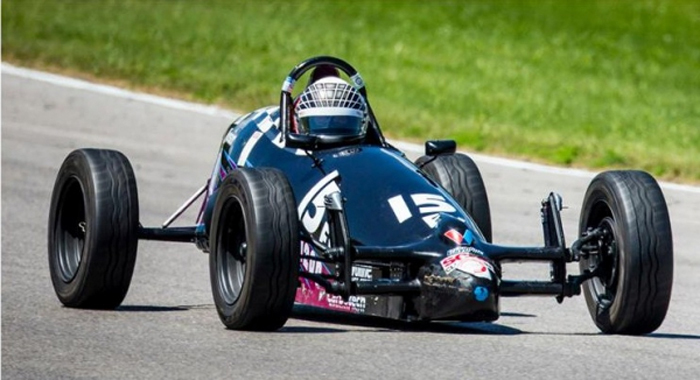 Formula Vee is the closest you will ever come to true grass roots road racing. The cars are equal and it comes down to how good a driver sets up his car and how he drives it that matters.